Winger Jiri Skalak has left Albion to join Championship side Millwall on undisclosed terms. Skalak joined Brighton from Mlada Boleslav in February, 2016, and scored twice in 50 appearances. The 26-year-old played 33 times in all competitions when Albion were promoted from the Championship in 2016/17 but found game time limited last season and made just three appearances in cup competitions. 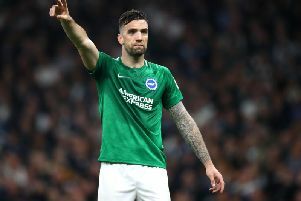 Albion manager Chris Hughton said: “Jiri is a great character, and I cannot fault his professionalism or work rate since arriving at the club.